A bright, cold morning on the farm. 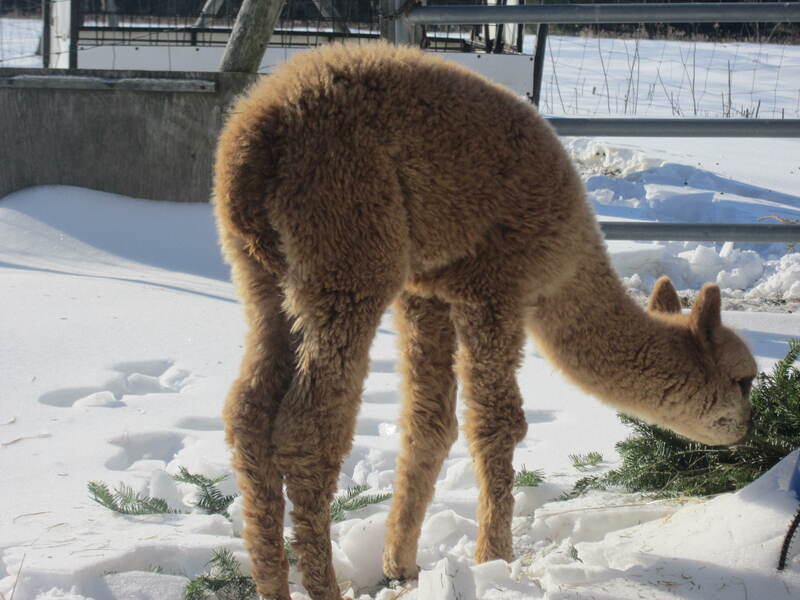 Although alpacas originated in the high altitude and harsh climate of the Andes in Peru, they do not like the extreme cold temperatures. 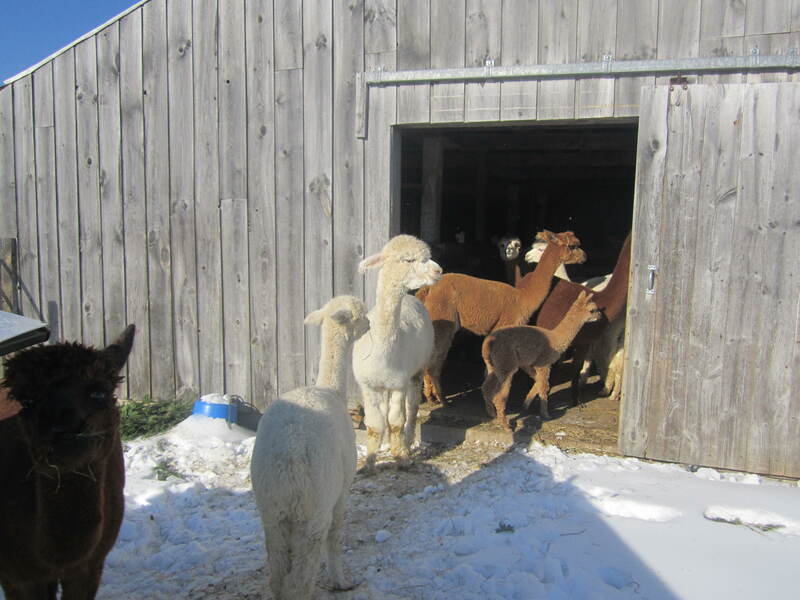 Alpacas cannot be left out in blizzards and frigid wind. They will sometimes stay out during a soft, gentle snow. 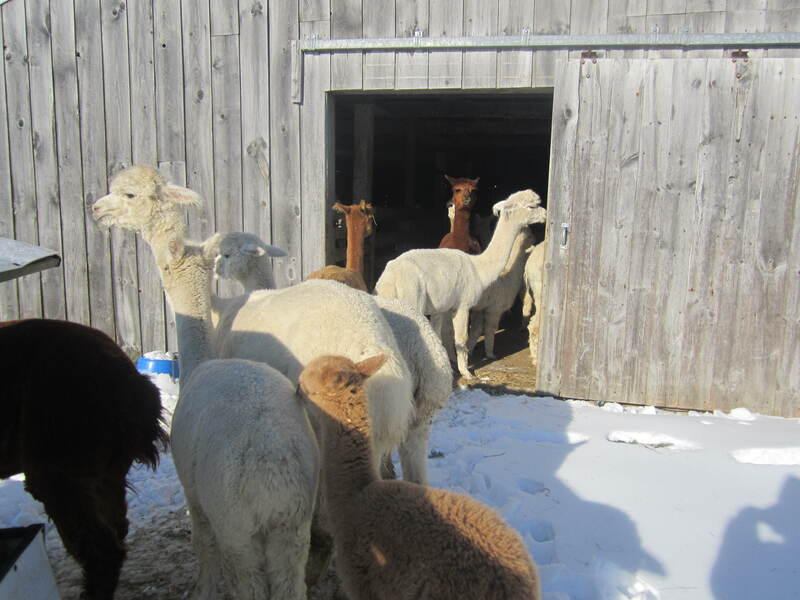 Currently they are soaking up some sun before being locked up in the barn, out of the the sub-zero wind chills that are heading this way. Those that need coats will soon have dryer wrmd coats back on to get through this nasty bout of cold. Maybe it is time to head back in! 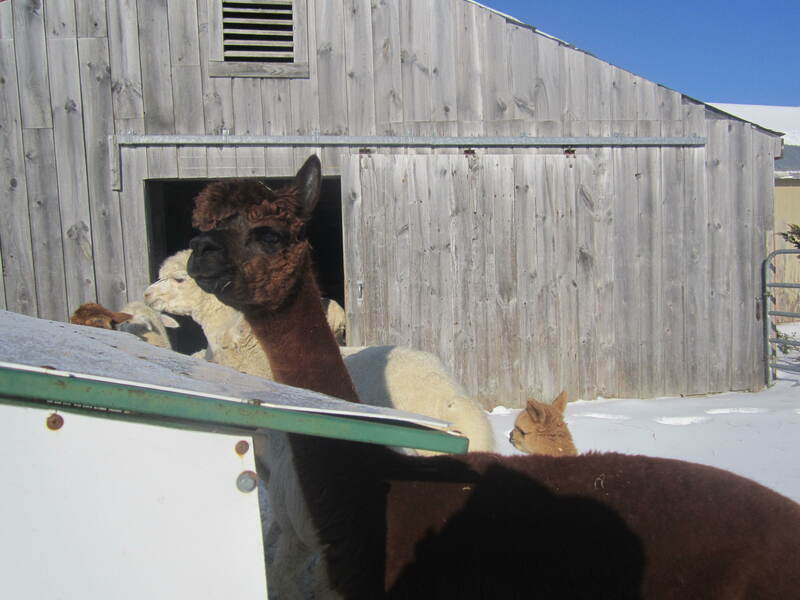 This entry was posted in Alpacas and Farm Life and tagged Agriculture and Forestry, alpaca, alpaca farm, Alpaca fiber, alpaca yarn, alpaca yarn hand spun naturally dyed slow yarn knit spin, Camelids, Maine, Maine Farms, natural dyes. Bookmark the permalink. ← We’re giving away a skein of our naturally dyed alpaca yarn! My llamas have been locked in for 3 days. My geriatrics do not deal well with the negative 30 windchill we’ve been experiencing lately.